Dr. Filigenzi is a Fellow in Musculoskeletal Imaging and Dr. Bredella is an Assistant Radiologist, Department of Radiology, Massachusetts General Hospital, Boston, MA. Dr. Bredella is also an Assistant Professor of Radiology, Harvard Medical School, Boston, MA. Recognition of FAI and its relationship to early OA of the hip requires early diagnosis and treatment to prevent or delay hip degeneration. Magnetic resonance imaging (MRI) and MR arthrography are excellent imaging modalities for showing the morphologic abnormalities of the proximal femur and acetabulum as well as the various changes seen in the hip secondary to FAI. In this article, the authors describe the 2 different proposed mechanisms for FAI, imaging of the morphologic abnormalities, and secondary changes seen around the hip as a result of FAI. In pincer FAI, the acetabulum, rather than the proximal femur, has a morphologic abnormality that results in abnormal contact between the femur and acetabulum. 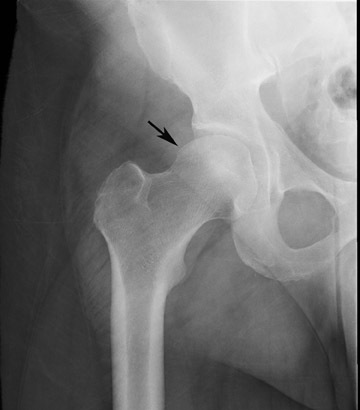 As with cam FAI, several abnormalities can lead to pincer FAI, the common problem being an increased relative depth of the acetabulum that results in overcoverage of the femoral head. Abnormalities that can be associated with pincer FAI include acetabular retroversion, coxa profunda, and protrusio acetabuli. All of these abnormalities can be identiﬁed on radiographs and MRI. 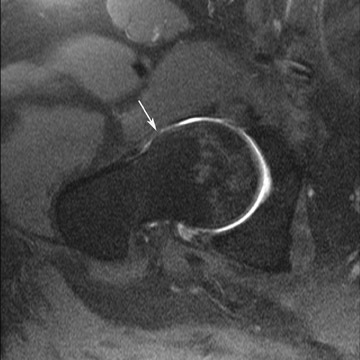 Protrusio acetabuli and acetabular retroversion (a posteriorly oriented acetabulum) can be seen on oblique axial MRI of the hip. The acetabular retroversion will result in an increase in coverage of the anterior aspect of the femoral head.22 Acetabular depth can be quantiﬁed on the same oblique axial images that are used to calculate the alpha angle. The depth is calculated by drawing a line connecting the anterior and posterior acetabular rims and a parallel line that passes through the center of the femoral head. 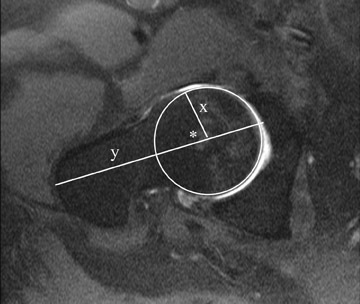 The distance between these 2 lines is the acetabular depth, with the value being positive if the center of the femoral head is lateral to the acetabular rim.23 As would be expected, the acetabulum is signiﬁcantly deeper in patients with pincer FAI than in patients in cam FAI, in which the depth is normal.23 Future research may recognize a speciﬁc value for the acetabular depth that puts a patient at increased risk for the development of pincer FAI. Additional ﬁndings as a result of FAI can also be seen in the soft tissues around the femur and acetabulum, usually as a result of secondary inﬂammation related to the FAI. There may be thickening of the joint capsule, often with an associated synovitis, and thickening of the iliofemoral ligament laterally. Femoroacetabular impingement is a relatively common disorder that can result in the development of OA in the younger patient population. 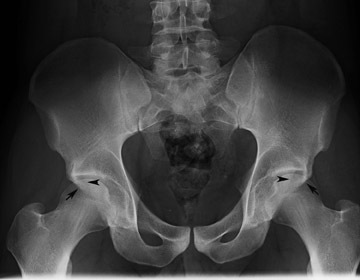 This article addressed the various morphologic abnormalities that predispose a patient to the development of FAI and detailed the changes that can be seen around the hip as a result of FAI. 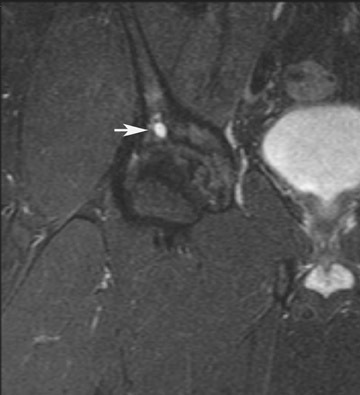 MRI and MR arthrography are accurate, noninvasive methods for the evaluation of both the structural abnormalities and the pathologic changes associated with FAI. Correct diagnosis of this disease process is essential to prevent or delay the progression of OA. Ganz R, Parvizi J, Beck M, et al. 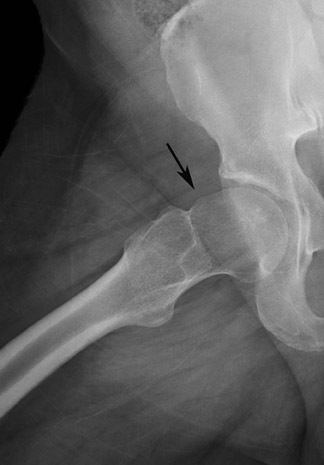 Femoroacetabular impingement: A cause for osteoarthritis of the hip. Clin Orthop Relat Res. 2003;417:112-120. Tanzer M, Noiseux N. Osseous abnormalities and early osteoarthritis: The role of hip impingement. Clin Orthop Relat Res. 2004;429:170-177. Beck M, Leunig M, Parvizi J, et al. Anterior femoroacetabular impingement: Part II. Midterm results of surgical treatment. Clin Orthop Relat Res. 2004; 418:67-73. 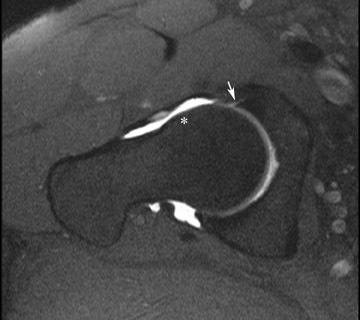 Ito K, Leunig M, Ganz R. Histopathologic features of the acetabular labrum in femoroacetabular impingement. Clin Orthop Relat Res. 2004;429:262-271. Ito K, Minka MA 2nd, Leunig M, et al. Femoroacetabular impingement and the cam-effect. 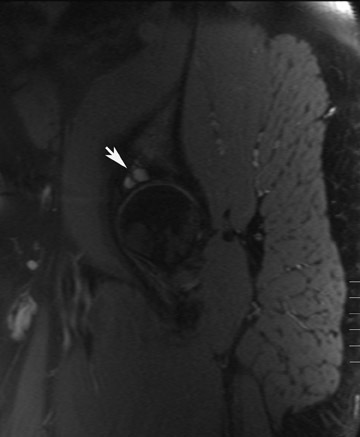 A MRI-based quantitative anatomical study of the femoral head-neck offset. J Bone Joint Surg Br. 2001;83:171-176. Jäger M, Wild A, Westhoff B, Krauspe R. Femoroacetabular impingement caused by a femoral osseous head-neck bump deformity: Clinical, radiological, and experimental results. J Orthop Sci. 2004;9:256-263. Leunig M, Podeszwa D, Beck M, et al. 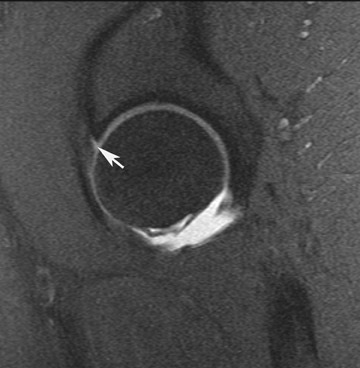 Magnetic resonance arthrography of labral disorders in hips with dysplasia and impingement. Clin Orthop Relat Res. 2004;418:74-80. Lavigne M, Parvizi J, Beck M, et al. Anterior femoroacetabular impingement: Part I. Techniques of joint preserving surgery. Clin Orthop Relat Res. 2004;418:61-66. Beck M, Leunig M, Clarke E, Ganz R. Femoroacetabular impingement as a factor in the development of nonunion of the femoral neck: A report of three cases. J Orthop Trauma. 2004;18:425-430. Reynolds D, Lucas J, Klaue K. Retroversion of the acetabulum. A cause of hip pain. J Bone Joint Surg Br. 1999;81:281-288. Ferguson SJ, Bryant JT, Ganz R, Ito K. The acetabular labrum seal: A poroelastic ﬁnite element model. Clin Biomech (Bristol, Avon). 2000;15:463-468. Ferguson SJ, Bryant JT, Ganz R, Ito K. An in vitro investigation of the acetabular labral seal in hip joint mechanics. J Biomech. 2003;36:171-178. Leunig M, Beck M, Woo A, et al. Acetabular rim degeneration: A constant ﬁnding in the aged hip. Clin OrthopRelat Res. 2003;413:201-207. 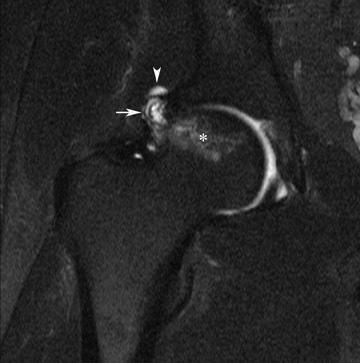 Eijer H, Myers SR, Ganz R. Anterior femoro-acetabular impingement after femoral neck fractures. J Orthop Trauma. 2001;15:475-481. Klaue K, Durnin CW, Ganz R. The acetabular rim syndrome. 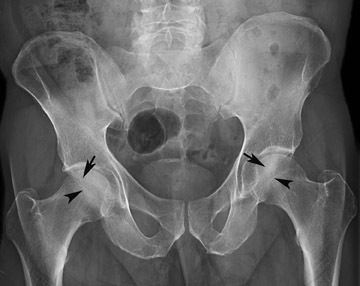 A clinical presentation of dysplasia of the hip. J Bone Joint Surg Br. 1991;73:423-429. Leunig M, Casillas MM, Hamlet M, et al. Slipped capital femoral epiphysis: Early mechanical damage to the acetabular cartilage by a prominent femoral metaphysis. Acta Orthop Scand. 2000;71: 370-375. 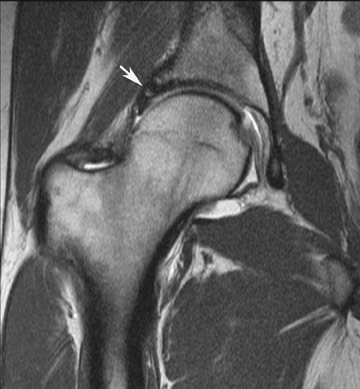 Myers SR, Eijer H, Ganz R. Anterior femoro-acetabular impingement after periacetabular osteotomy. Clin OrthopRelat Res. 1999;363:93-99. 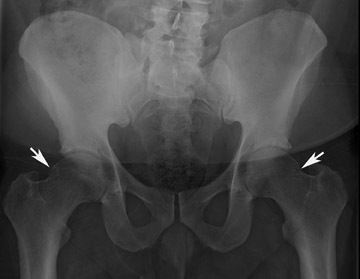 Pitto RP, Klaue K, Ganz R, Ceppatelli S. Acetabular rim pathology secondary to congenital hip dysplasia in the adult. A radiographic study. Chir Organi Mov. 1995;80:361-368. Stulberg SD, Cordell, LD, Harris WH, et al. Unrecognized childhood hip disease: A major cause of idiopathic osteoarthritis of the hip. Proceedings of the Third Open Scientiﬁc Meeting of the Hip society. The Hip. St Louis, MO: CV Mosby; 1975, 2112–2228. Nötzli HP, Wyss TF, Stoecklin CH, et al. The contour of the femoral head-neck junction as a predictor for the risk of anterior impingement. J Bone Joint Surg Br. 2002;84:556-560. 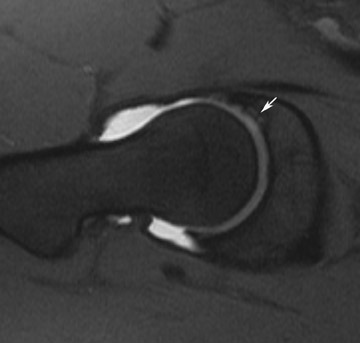 Siebenrock KA, Schoeniger R, Ganz R. Anterior femoroacetabular impingement due to acetabular retroversion. Treatment with periacetabular osteotomy. J Bone Joint Surg Am. 2003;85-A(2): 278-286. Reynolds D, Lucas J, Klaue K. Retroversion of the acetabulum. A cause of hip pain. J Bone Joint Surg Br. 1999;81:281-288. Comment in: J Bone Joint Surg Br. 1999;81:743-744. Pﬁrrmann CW, Mengiardi B, Dora C, et al. Cam and pincer femoroacetabular impingement: Characteristic MR arthrographic ﬁndings in 50 patients. Radiology. 2006;240:778-785. Erratum in: Radiology. 2007;244:626. Comment in Radiology. 2007;244:625-626; author reply 626. James SL, Ali K, Malara F, et al. 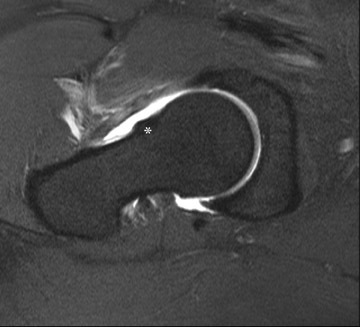 MRI ﬁndings of femoroacetabular impingement. AJR Am J Roentgenol. 2006;187:1412-1419. Kassarjian A, Yoon LS, Belzile E, et al. 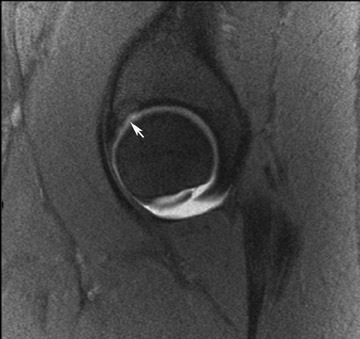 Triad of MR arthrographic ﬁndings in patients with cam-type femoroacetabular impingement. Radiology. 2005; 236:588-592. Stoller DW, Tirman PFJ, Bredella MA. Femoroacetabular impingement. In: Diagnostic Imaging: Orthopaedics. Salt Lake City, UT: Amirsys; 2004. Sadro C. Current concepts in magnetic resonance imaging of the adult hip and pelvis. Semin Roentgenol. 2000;35:231-248. Leunig M, Beck M, Kalhor M, et al. Fibrocystic changes at anterosuperior femoral neck: Prevalence in hips with femoroacetabular impingement. Radiology. 2005;236:237-246. 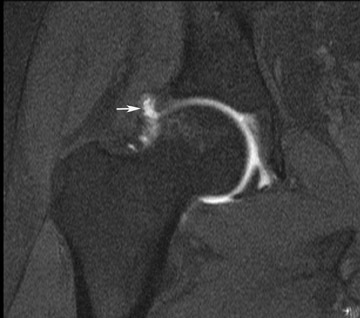 MR imaging of femoroacetabular impingement. Appl Radiol.